BOSS Athleisure Paddy 4 Polo T Shirt In Blue, Regular Fit. A cotton jersey polo t shirt with a three branded button opening at the neck with contrasting green stitching on the top button. A ribbed collar and cuffs on the short sleeves in black. 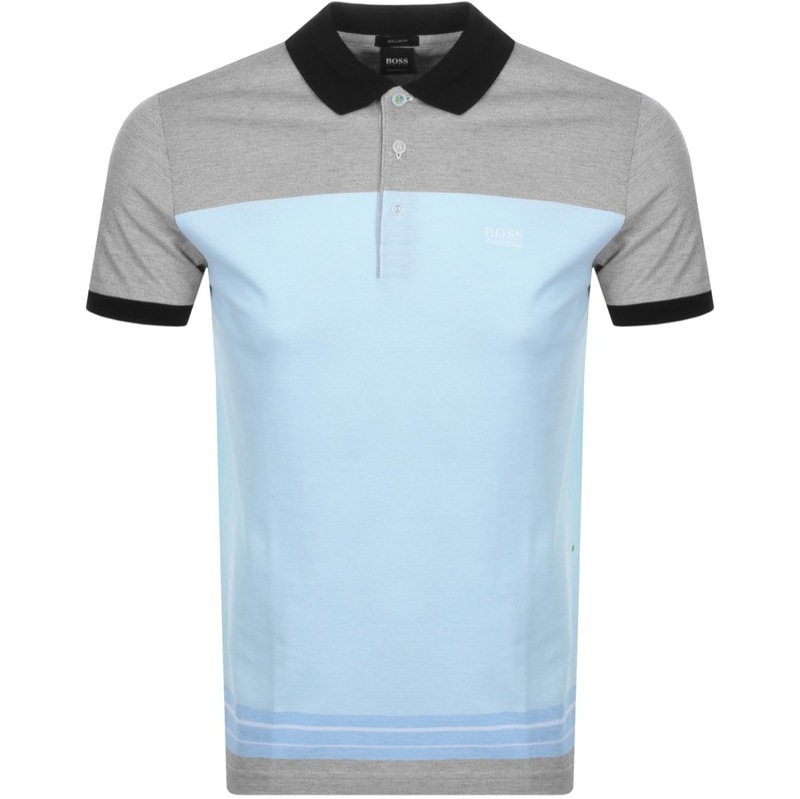 An allover woven colour block design in two tone white, black and blue. The signature embroidered BOSS HUGO BOSS logo is situated on the left of the chest in white and the signature green embroidered square logo is situated on the left of the waist. 100% Cotton. Brand New Collections Of BOSS Athleisure T Shirts And Polos Live Online.